Mark LaRosa is a sales and growth expert for young businesses. In his career, he has taken 7 businesses from zero or near zero sales to profitability by finding the repeatable sale, building teams, and then setting in motion the rapid growth and expansion of revenue. Whether this was a business he founded, or a company in which he came in to usher its first sale, or a company in which he was tasked with finding its growth curve, Mark has a near perfect record. 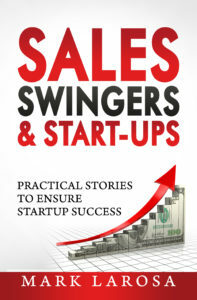 In 2014, Mark compiled all his expertise into his book Sales, Swingers & Start-ups. Currently, Mark is the SVP of Sales for ConveyIQ, the leading provider of software for HR communications. After exiting FunnelFire, Mark became the EVP of Sales for Enhatch, a software company focused on tools for outside sales teams. In the first six months, he more than doubled the MRR for the company by taking a nascent sales team and structure and finding the path to explosive growth. 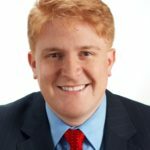 In 2012, he founded FunnelFire, a sales effectiveness software company, and grew it from scratch, and is currently in the final stages of an exit for the business. Mark also founded QuotaCrush in 2008, a sales services company focused on providing outsourced VP of Sales help to start-up and growth companies. Companies that Mark worked with included Panjiva, Parsely, Monetate, StellaService, ScoopSt (acquired by BuyWithMe), Thinkful, and others. Mark still assists and serves on boards of multiple start-ups. Prior to founding FunnelFire and QuotaCrush, Mark was also the founder of Dynamic Mobile Data, a wireless enterprise software company focused on vehicle location and dispatch. He built and sold his innovative MobileDispatch solution to many large clients including Kraft/Nabisco, Pepsi, AIG, UPS, Airborne Express (now DHL), and Purolator Courier. Through his work at DMD, LaRosa secured a patent for his innovative wireless infrastructure both in Australia and the United States. At DEMOmobile 2003, a prestigious conference held for leaders in mobile computing, he was awarded one of the few DEMOgod awards for his innovative product Heads-Up. Prior to Angelsoft, LaRosa built a North-East region for Air2Web (www.air2web.com) - a mobile marketing firm located in Atlanta. Proctor and Gamble, NBC/Universal, MTV, FedEx, USAir, CitiGroup and others became customers through LaRosa's efforts. When he left Air2Web, the northeast region had gone from non-existent to a region supporting 3 individuals bringing in millions of dollars. LaRosa also re-established sales for the direct marketing vertical market for a turn-around company in collections IRMC (Now iQor: www.iqor.com). Mark salvaged strained relationship with large customers and brought new customers to the table. By the end of his tenure, he had not only salvaged the vertical, but nearly doubled its size by landing customers such as Publisher's Clearing House, Bookspan, BMG and Guthy-Renker. LaRosa was on the Board of Trustees of Stevens Institute of Technology from 2007 thru 2013, and served as member and then Chairman of the Board of Trustees of the Hugh O'Brian Youth Foundation, and a founding board member of the Executive Council on Sales and Services - part of the SIIA. LaRosa is active in the NY entrepreneurial and investment community, and has been writing a blog on sales techniques and other musings on the QuotaCrush web site. When not working, he is raising three amazing kids.